If you are considering wearing contact lenses, choosing to wear them isn't the only decision that needs to be made. You will also need to think about the type of lenses that you are going to wear. With all the options available, choosing the best one for you can be difficult. If you are trying to the best type of lens, you should consider daily disposable lenses. Daily disposable lenses are exactly what the name describes. Each day, you would put a fresh pair of lenses in your eyes and wear them throughout the day. At the end of the day when it is time for bed, you would throw the lenses away. The next morning, you would put another fresh pain in. 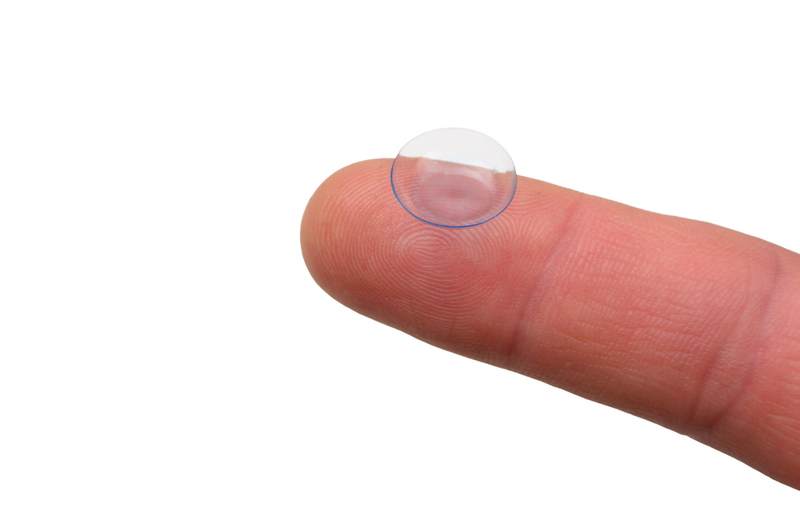 What Are the Benefits of Disposable Lenses? There are a few benefits of wearing daily disposable lenses. First, you won't need to worry about soaking your lenses overnight and cleaning them the way that you would with bi-weekly or monthly lenses. Since you will be putting in a fresh pair each morning, you won't need to worry about cleaning your lenses to be sure that they are free of protein deposits and other debris. Next, it is not uncommon to tear a pair of lenses while you are removing them or cleaning them. If you are wearing a bi-weekly or a monthly lens, tearing a lens will cause you to run out of lenses earlier than you should. Since you don't need to clean your daily lenses, there is no risk of tearing one. If you rip a lens while taking it out, you won't need to worry because disposable lenses are thrown out every day. Finally, because daily disposable lenses have a high water content, you won't need to worry about your eyes drying out during the day. What Is the Difference Between Daily Disposable Lenses and Normal Lenses? The most obvious difference between daily lenses and other types of lenses is that daily lenses are only worn once and then thrown out. Another difference is that daily lenses are thinner and less durable than typical lenses. This is because typical lenses are worn for two weeks to a month at a time; therefore, they need to be strong and durable. Call Lickteig Family Eyecare Today! If you play sports, you should consider daily lenses because you don't need to worry about them coming into contact with dirt and sweat. The same is true if you don't want to deal with the hassle of soaking and cleaning your contacts. If you are considering getting daily lenses, you should make an appointment with Lickteig Family Eyecare. We can schedule a contact lens exam to determine the right size and prescription lenses for your eyes. At the end of the exam, you will be sent home with a set of trial lenses to make sure that they are right for you.